You have to wonder. I don't rate his chances of avoiding skin cancer with all the UV rays he must have been sitting under while using it. Many cool photos in this thread? Will have to take some pics of my A1200 and CD32 soon as well. And Harrison.. that A500 looks horrible.. it seems to me like the previous owner was a big cigarette smoker. Imagine how many of those cigs he had to smoke to get be able to achieve that disgusting colour! Btw.. Sure you can't see any whiter spots where an ashtray could have been located? I remember others who used to have their ashtrays on top of the A500, as the top was so nice and flat. When thinking about it, it must have costed a fortune in cigs as well to get it all covered up. I did think that the owner may have smoked a lot, but it doesn't smell of smoke or nicotine, so I'm not sure. Is that a switch between the green and black wires? I ought to have put a switch on my power wires. I never thought of doing that though and just switch it off at the mains. Yes it is a switch ( a temporary one...), i have plans for making it better. The extra black and red is for linking a bulb (a car light 21w, and put it inside the PSU) for indentify the Power On. 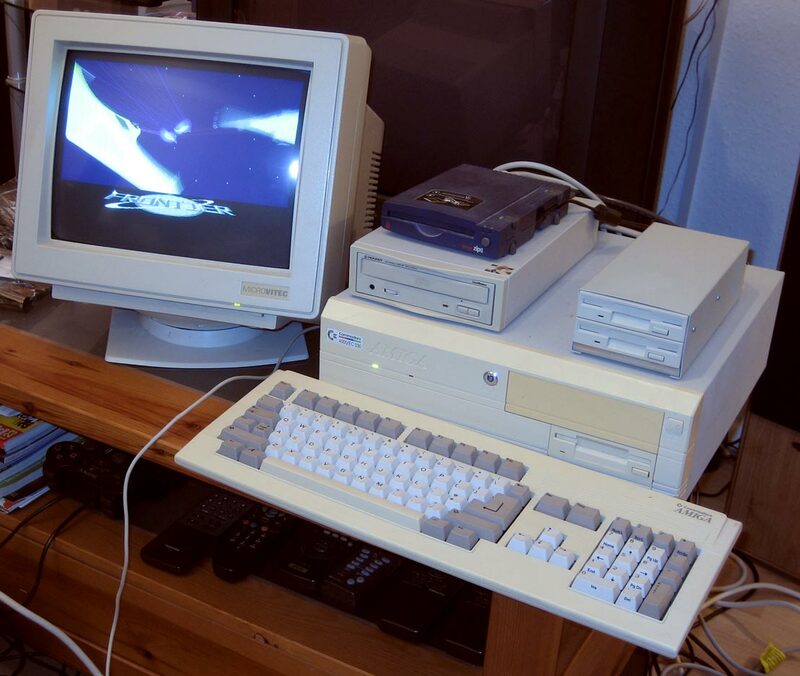 I connected up my A4000 today for a quick play around and to make sure it was still OK and it booted up fine. Here's a picture of it running Frontier: Elite 2.